Combine cranberry juice and orange liqueur in a pitcher and stir well. Pour into champagne flutes about a third of the way up the glass. Top with champagne or sparkling wine and garnish with an orange curl. wonderful cocktail inspiration, thank you! Love the cranberry juice for a nice December flair! 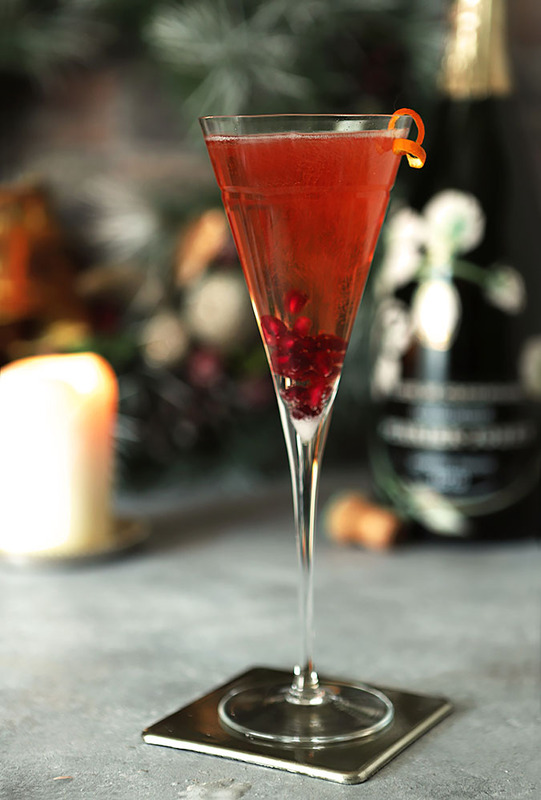 This is the perfect cocktail to ring in the New Year with (for me at least). I love that it is made with cranberry juice and that it is the juice that gives it the wonderful colour. Sincere best wishes for a fabulous 2014. I wish you could help too…I can’t believe how much stuff I got rid of and am sort of amazed at how much I still have. Will be doing some more downsizing as soon as the dust settles a bit; I want this operation to be lean! Thanks Paula and Happy New Year to you too…XOXO. This is the cocktail for me! Cranberry juice and sparkling wine??? Yes please! And the leftover gets made into granità! Stupendous and so festive! Beautiful, Barb! And I do hope you are in your new home for New Year’s Eve! I wish you the happiest and healthiest of 2014! Love this! It looks so festive and refreshing. I bet every sip feels celebratory! 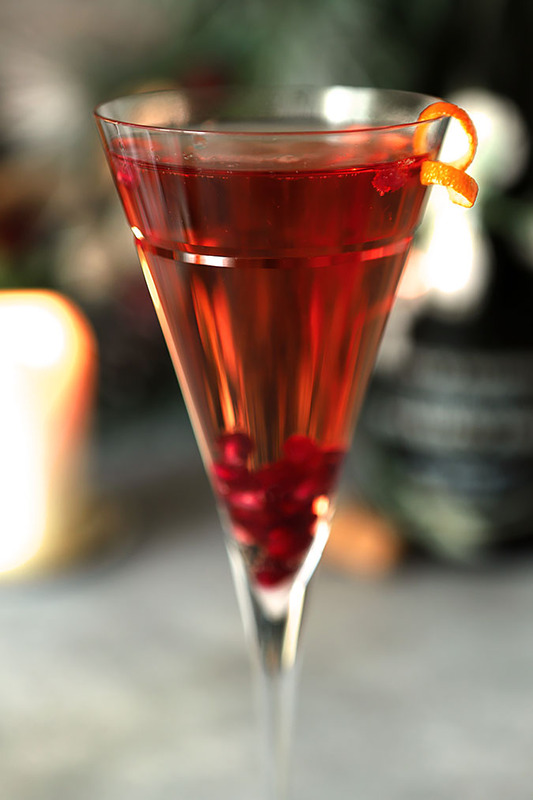 I’d like to lift a glass of this cocktail to celebrate your new home and new beginning for 2014. May it be the best year of your life. My wife has to be to work at 6am on New Year’s Day so we won’t be celerating, but with sparkling cider, this would be a fun drink for any occasion. Very true; I have friends and family that can’t or won’t imbibe for different reasons; this is really a great Mocktail for them! What a gorgeous cocktail! I actually own these components, too! Which helps when you don’t plan ahead! Let’s make a toast to your closing date and that it happens the way you’ve been told! Cheers, Barb! and all the best in 2014! Really hope you get in your new home soon! This must be really hanging out for you. Anyway, lovely cocktail – I wish I lived closer so I could come over and have one or two (in between hanging pictures, of course!). Thanks. Oh my goodness, this looks amazing! Just stocked up on prosecco and have cranberry juice in the fridge itching to be consumed. Thanks for the gorgeous recipe! In my bartending days we called these drinks poinsettias. I love them! Something so festive about this combination. Not only are they beautiful, but refreshing and delicious as well.